A pristine exhibit with perfect features, and crisp clear detailed relief ('Nuea Jad'), and an ultra rare amulet for collectors and devotees of the 'Tamniab Dtragun Pra Somdej Wat Gaes Chaiyo' pantheon. 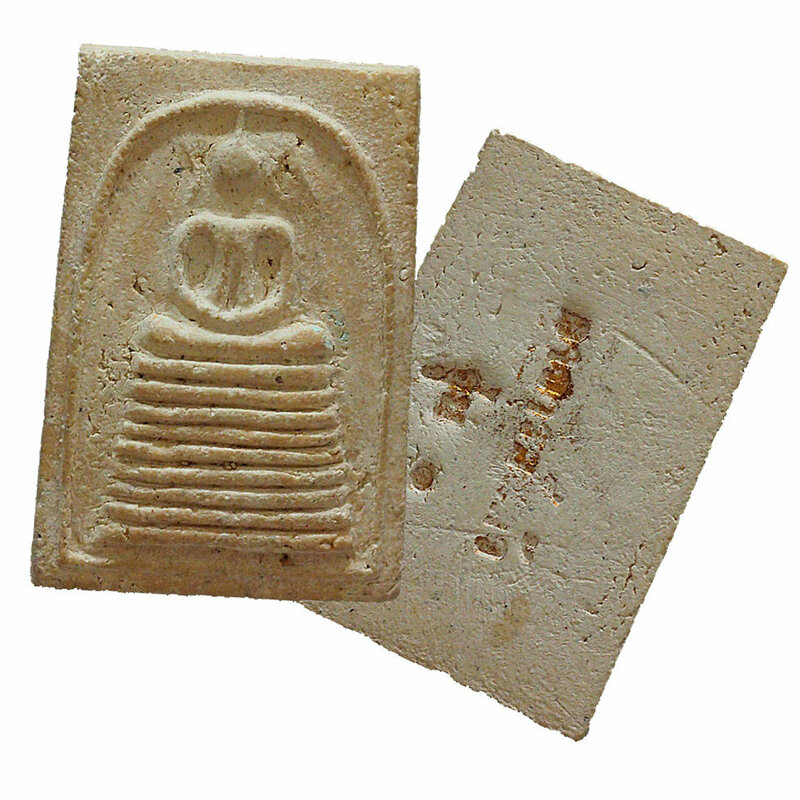 This amulet is revered highly by devotees of Ajarn Gaew, Luang Phu Guay, Luang Phu To, Luang Por Sukh, and the devotees of Luang Por Prohm. 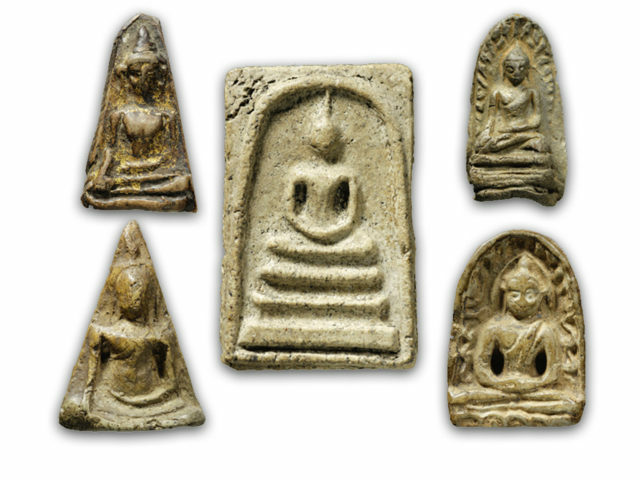 The amulet is also extremely valued by aficionados, for the Muan Sarn Sacred Powders which are known to have been made from broken pieces of ancient Pra Somdej Wat Rakang Kositaram Somdej Pra Puttajarn (Dto) Prohmrangsri amulets, and which makes the amulets a perfect reference study material for students of the amulets of the Great Somdej Pra Puttajarn (Dto) Prohmrangsri. The Pra Somdej Pim Wat Gaes Chaiyo Gao Chan 9 tiered dais Buddha from Wat Chinoros was created in the year 2512 BE, by Ajarn Gaew, who invited some of the great masters he was associated with to come and empower the amulets in whay is historically recorded as one of the great Sacred Blessing Ceremonies of that time period. This was Ajarn Gaew's first edition of Pra Somdej, which is stamped on the rear face to mark the notability of the edition with the words 'Run 1' (รุ่น๑). Luang Por Guay (Wat Kositaram), Luang Por Ming (Wat Gok Bang Khun Tien), Luang Por Prohm (Wat Chong Kae), Luang Phu Sukh (Wat Po Sai Tong), Luang Phu Dee (Wat Pra Roop), Ajarn Nam (Wat Don Sala), Luang Por Ngern (Wat Don Yai Horm) and the Great Luang Phu To (Wat Pradoo Chimplee). Many other great masters of the time were also present, whose names were not officially recorded. Below; some of the amulets in the pantheon released in the 2512 BE historical Blessing Ceremony at Wat Chinoros. 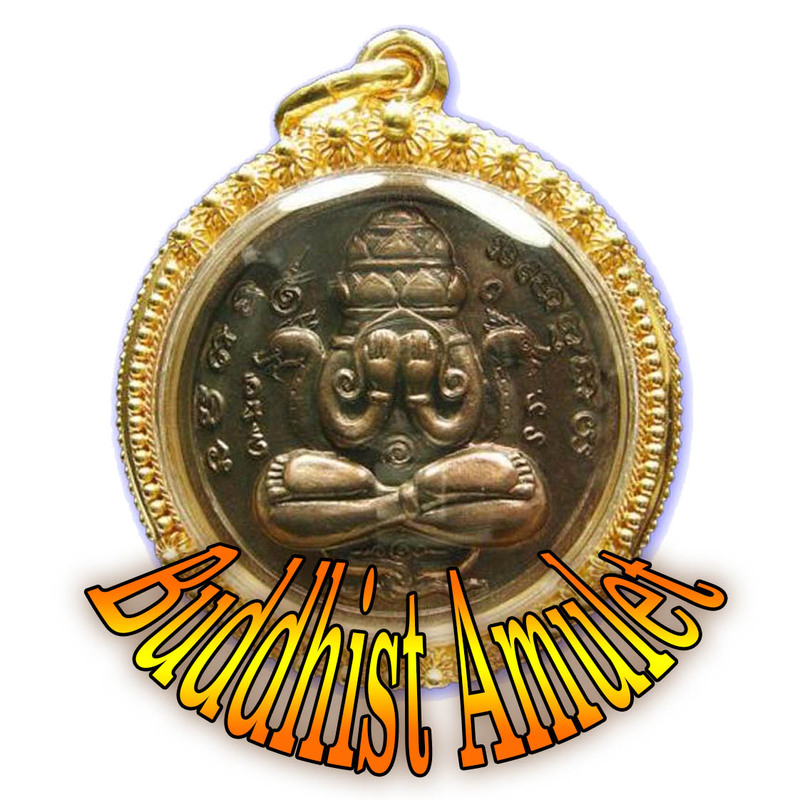 An all time Classic amulet from a Nationally Famous and Historical Blessing Ceremony, which brought the amulets of this 2512 BE edition to become a Pra Niyom preferred class Sacred Amulet. Accepted by all major amulet appreciation societies, for the official documentation of the Blessing Ceremony, which saw the attendance of some of the Greatest Master-Monks of the time present to bestow their empowerment and blessing.